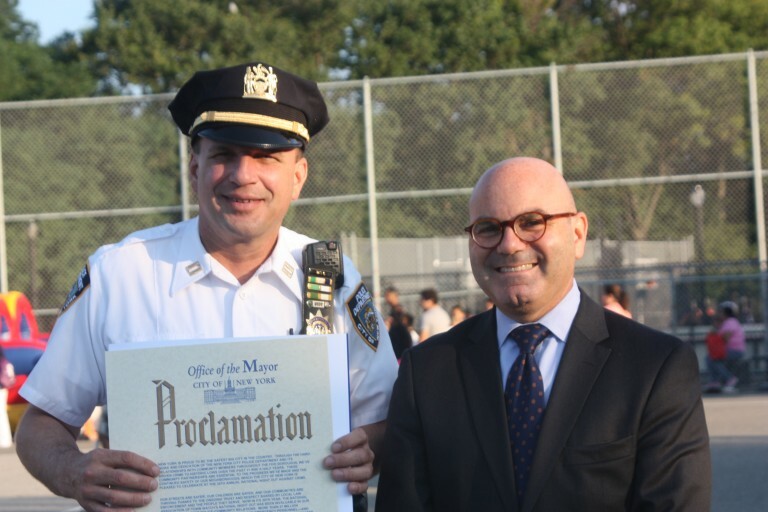 Captain Manson is all smiles after being presented with a proclamation from Mayor Bloomberg. It’s been nearly 30 years since the inception of National Night Out Against Crime (NNO), when roughly two and a half million people, in 23 states, participated in what started as a crime prevention measure. The basic premise behind NNO was to forge police and community partnerships, to encourage bonds among community members and to send a message to bad guys that there was an organized program for citizens to fight back. On this Tuesday night our area’s precincts joined by hosting their events as part of what now involves nearly 40 million people from 50 states, U.S. territories, cities in Canada and at military bases worldwide. 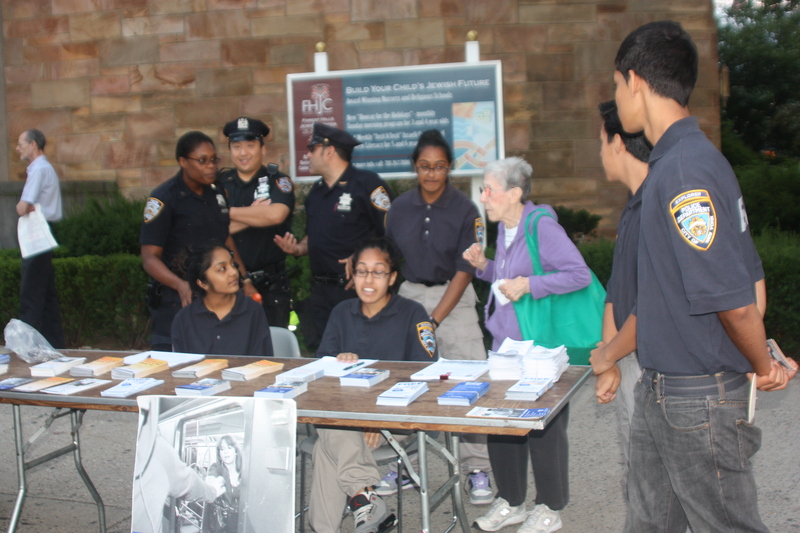 NNO for the 104th precinct was just a few blocks from the station house at Joseph Mafera Park on Catalpa Avenue and 65th Place. Crowds gathered once again for what continues to reign as a favorite community event and for children; a giant playground where they mixed and mingled with the police from the command and hundreds of other kids. Bouncy castles, a water slide, giant slide and a jousting ring were among the colorful air-filled attractions sponsored by the precinct. There were hot dogs, snacks, juice and water. 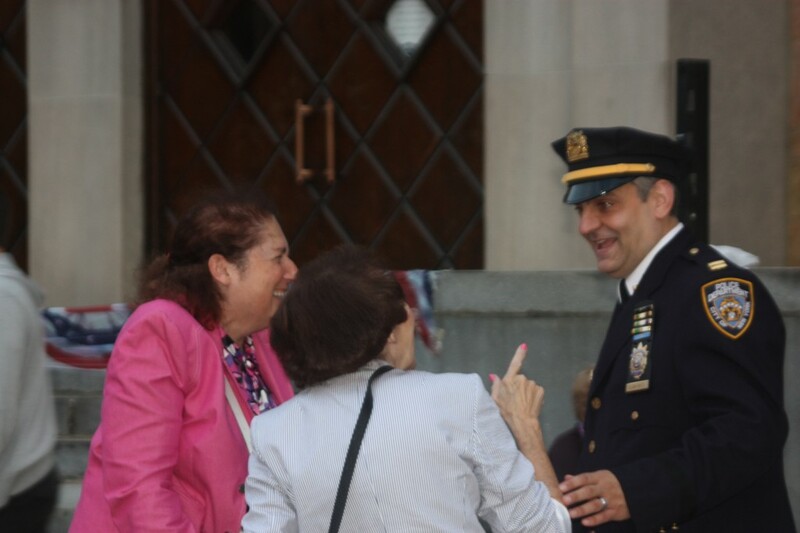 Heidi Chain, (right), president of the 112th Precinct Community Council and Commanding Officer Thomas Conforti share a laugh with a Forest Hills resident. Elected officials including Assemblymember Mike Miller, Councilwoman Elizabeth Crowley and Assemblymember Cathy Nolan were joined by representatives from the mayor’s office and other police brass. A short ceremony featured the presentation of a proclamation to commanding officer,Captain Christopher Manson, and brief comments by electeds. Mostly everything, however, centered on what is at the heart of the night. Members of the Explorers from the 112th get some advice about life in the big city from someone who has been around it for a while. MacDonald Park, on Queens Boulevard between Yellowstone and 70th Road in Forest Hills, was the setting for the 112th Precinct’s event, which featured a number of live entertainers, singers and a neighborhood chorus. 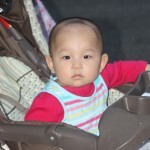 It appears the very young are very serious about national Night Out. One of several local singing talents who delighted crowds at MacDonald Park. 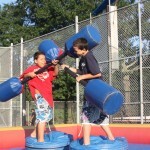 In the jousting pit, battling brothers, Bryton and Jasper Gomez, 9 and 12, fought it out as onlookers rooted them on. 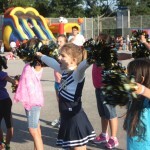 A lesson or two in cheerleading goes a long way as this group of impromptu pompom wavers learned when they drew cheers of their own from the audience. 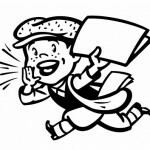 Police Officer Tom Barberio breathed a sigh of relief at this lowball. Some of the ball throwers laughed and said they dunked him so many times they were missing on purpose because they felt bad for him. 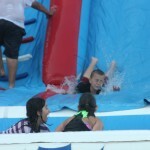 A cool glide down the water slide brought splashing and smiles to kids who lined up for continued trips back up to the top.